US State Department propaganda witlessly confirms Right Sector Nazis are operating in eastern Ukraine, kidnapping journalists, and working directly for the regime in Kiev. coerce the talking points you want reported at gunpoint. hostage by Right Sector Nazis and made to "confess." June 20, 2014 (Tony Cartalucci - LD) - The Interpreter Magazine is a "special project" of the Institute of Modern Russia. By "Modern Russia," its creators mean, Russia as imagined by Wall Street and London. The "institute" is run by disgraced Russian billionaire oligarch, convicted criminal, and long-time Western proxy Mikhail Khodorkovsky, his son, and Washington lobbyists. It includes contributors such as Catherine A. Fitzpatrick who literally worked for the US State Department's propaganda arm, Radio Free Europe/Radio Liberty and convicted financial criminal George Soros' faux-rights advocate Human Rights Watch (HRW) and Soros' Open Society Institute itself. The Interpreter is overtly a clearinghouse for anti-Russian propaganda and ceaselessly promoted by corporate-funded and directed faux-rights advocates like the Neo-Con lined National Endowment for Democracy (NED) and Freedom House - both of which are funded and perpetuated by the US State Department itself. In an entry titled, "Russian Defense Ministry Apologizes For Lying About White Phosphorus," we discover the degree to which The Interpreter is propaganda. Upon reading the entry, we find out that the Russian Defense Ministry did no such thing as "apologize." Instead, what is described is a war crime committed by Neo-Nazi Right Sector militants working on behalf of Kiev's "Security Service of Ukraine" (SBU). Right Sector captured the journalists, interrogated them, and coerced a confession from them. 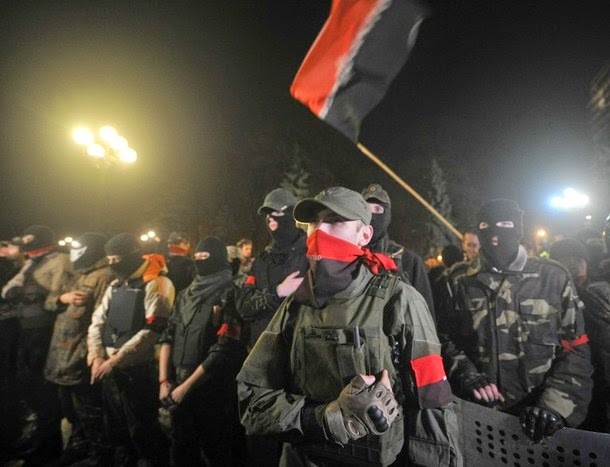 Right Sector then simply claimed they worked for the Defense Ministry and their coerced confession constituted a formal apology for "lying," before handing the captured journalists over to Kiev's SBU. 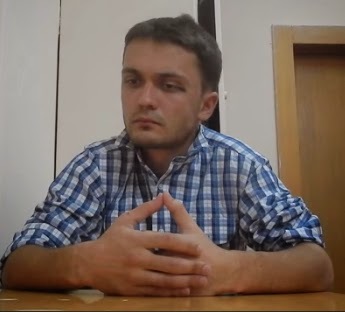 "Then a video of one of the detained reporters, Evgeny Davydov, appeared on pro-Kiev media, showing him confessing while he was still in captivity that he was forced to put in false information by editors in Moscow, and that in fact he wasn’t even in Slavyansk when the broadcast was edited and had obtained no footage from the town." "The two correspondents from Zvezda, a TV channel of the Russian Defense Ministry, Davydov and Nikita Konashenkov had been detained 14 June outside Slavyansk, reportedly by Right Sector militants who transferred them to the Ukrainian Security Service (SBU) where they were investigated on suspicion of espionage." Far from proving or disproving the use of white phosphorus in eastern Ukraine, the propaganda stunt instead illustrates that Nazi Right Sector militants are still operating in eastern Ukraine, taking journalists hostage - a serious crime - and working directly with the regime in Kiev. Regarding the alleged use of white phosphorus, RT's report and Russian officials themselves clearly call for an investigation, and nothing more. And while the use of white phosphorus is being contested by Western media houses, the aerial and artillery bombardment of populated regions in eastern Ukraine is confirmed, and ongoing. Image: While US State Department propaganda fails to confirm or deny the use of white phosphorus by Kiev against the people of eastern Ukraine, its propaganda does reveal that the vicious, heavily armed, Neo-Nazi Right Sector front is still operating across Ukraine and in direct cooperation with the regime in Kiev itself. While few read "The Interpreter," combing over its pages reveals a troubling reality. The overtly anti-Russian propaganda defending Nazis, the taking of journalists hostage, and the covering up of atrocities committed by the US-EU backed regime in Kiev is repeated almost verbatim across the rest of the corporate-controlled media in the West - from the BBC, to CNN, and across the pages of magazines like TIME and Newsweek. Few may read "The Interpreter," but fewer still realize "The Interpreter" is the source of much of the lies echoed across the rest of the Western media about Russia, Ukraine, and other theaters where the West is fighting in to encircle, contain, and undermine Russia.